I never tire of writing about handwritten treasures. 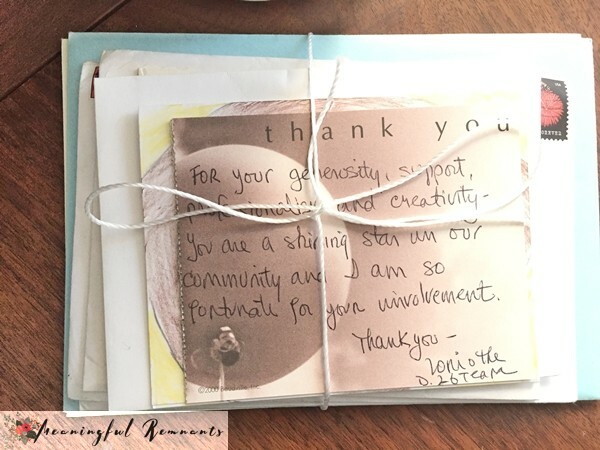 So much so that when I was asked to adapt Gifted Memories for the blog, Handwritten, I was thrilled. This year, I made a pact with myself to compose at least one handwritten note, card or letter per month. The year is half over and I have penned eight so far. Two of the eight were long enough, however, to warrant being typed. I realized that I lose desire to craft a note when I resort to using the same box of cards even with the variety of colors and patterns to choose from. I go straight into procrastination mode. So I thought it would be a good idea to have a selection of cards readily available to ensure that my handwritten, thank you’s, congrats and everything in between continue on void of hesitation. Recently, I made a card with just a stamp and a color pencil.. 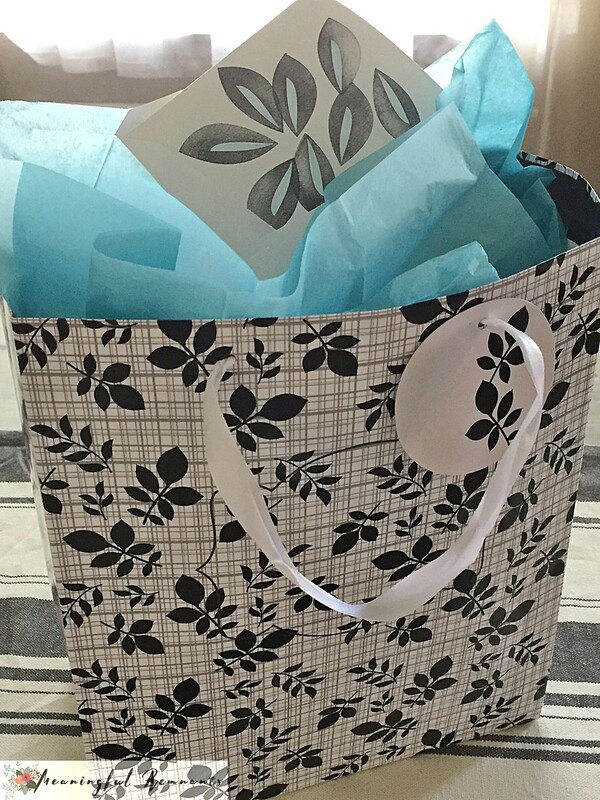 I wanted it to coordinate with the gift bag and tissue paper. 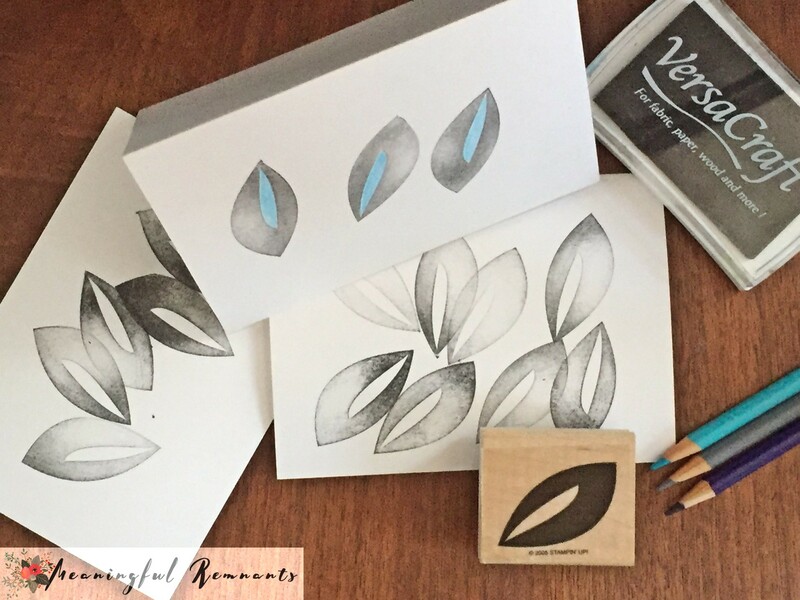 It’s quick and easy to create something pleasing to the eye with a stamp. I made a few so that I would have them readily available. Sometimes when I handwrite a letter, I don’t quite like how my lines run off course or the spacing is a little wonky. This occasional mishap is not a complete loss though as I cut and reuse the front of the card and a postcard stamp. The next time I need to send a short message, I have a postcard ready and waiting. Speaking of postcards, I found these vintage postcards at an estate sale. 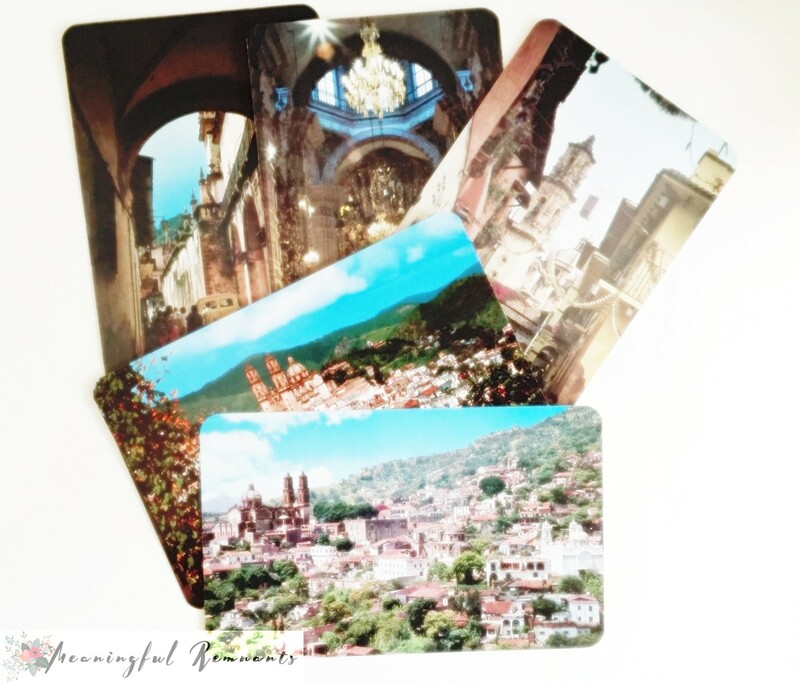 Postcards bring on instant nostalgia for me. I’m not sure if I will use these in the traditional way or incorporate them in one of my handmade journal creations. 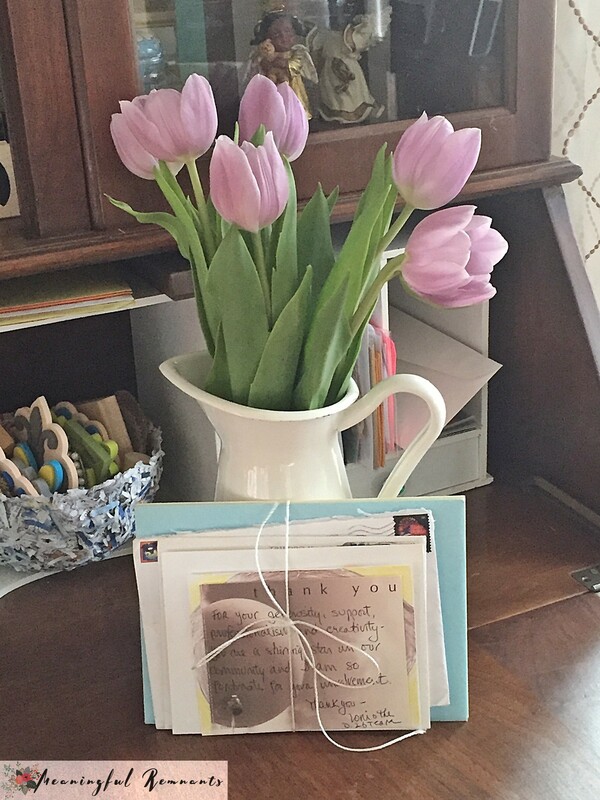 Every so often I display and re-read some of the handwritten letters and notes I have received. They’re special! Having a bad day? They’re an instant pick me up! No kidding. Every time my eyes fall on them, they illicit a smile. 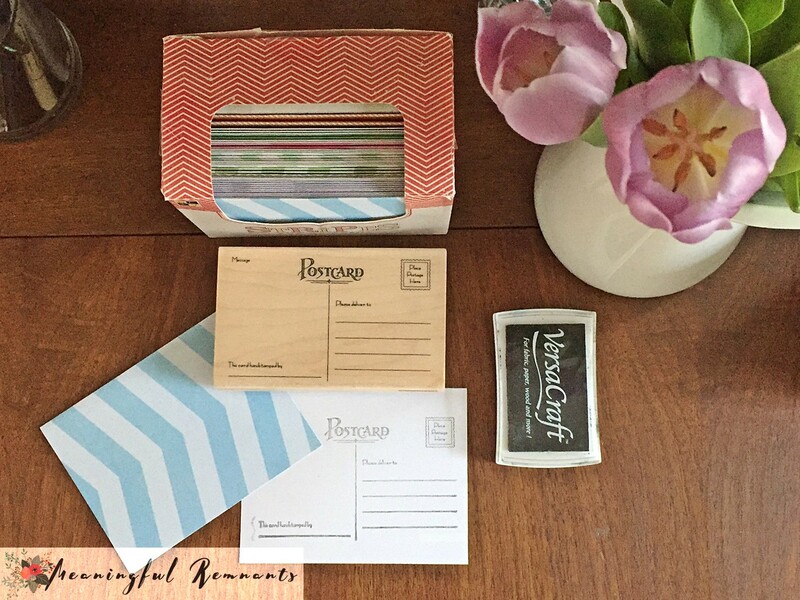 Why not dwell in an occasional handwritten experience? You never know, one day you might just find a handwritten treasure waiting in your mailbox as well. Note: This post was originally published on June 29, 2016 at MeaningfulRemnants.blogspot.com.